– Poland’s Anita Wlodarczyk, who received a standing ovation from the 50,000 crowd after she broke the hammer world record with 79.58m at the ISTAF Berlin World Challenge Meet on Sunday. She broke the record of Germany’s Betty Heidler, who also competed, finishing 2nd and losing her record in front of the home crowd. What is the most worthless college major? 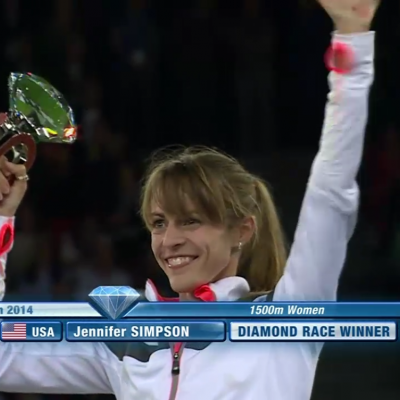 LRC Exclusive Q&A With DL Champion Jenny Simpson After Her Win In Zürich: “I pulled off what seemed at times was impossible odds.” Over the weekend, LetsRun.com caught up with Simpson as she prepares to race the 3,000 at the second Diamond League Final in Brussels on Friday. Simpson talked about the contact at the finish line with Shannon Rowbury in Zurich, why she’s been so successful on the circuit this year and how she’s been inspired by runners such as Deena Kastor, Kara Goucher and Shalane Flanagan. Molly Huddle defeated training partner Amy Hastings as former OSU star Girma Mecheso won his first USA title in humid New Haven. 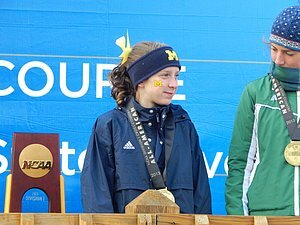 LRC 2014 Women’s XC Preview: Entirely Home-Grown Michigan Is #1, Michigan State Is #2 This year, the best team in Michigan may very well be the best team in the United States. Michigan State is led by NCAA steeple champ Leah O’Connor and will get a big boost from returners Sara Kroll and Julia Otwell, who redshirted in 2013. Michigan keeps its entire top seven from last year intact. AMAZINGLY all seven are Michigan natives. Usain Bolt Is The Star Of Village Scarecrow Contest A small village in the UK is getting some attention for the scarecrow version of Lightning Bolt. Random Q&A With Haile Gebrselassie You probably didn’t know he has a lucky pair of underwear he likes to wear when racing which he’s had for 10 years. Jeffrey Eggleston Wins Rock ‘N’ Roll Virginia Beach Half Marathon In 1:05:27 Lilian Marita won the women’s race in 1:15:29. Tuesday Local Stars Blanka Vlasic And Sandra Perkovic Highlight Zagreb IAAF World Challenge Meet On Tuesday Ethiopia’s 3:59 woman Dawit Seyaum leads 1,500 field against Brenda Martinez. Men’s 800 has Kenya’s Olympic bronze medalist Timothy Kitum, 1:42.84 man Ferguson Cheruiyot and World Junior champ Alfred Kipketer, the 2014 world junior champion. Saturday: Geoffrey Mutai Racing Birell 10K In Prague On September 6th He’ll face Geoffrey Ronoh, the rabbit who stayed in the race and beat Wilson Kipsang in a half marathon. LRCRunning In The Real World: How Damn Expensive The Sport Is And "You Put A Running Store Somewhere - Let Me Tell You Something - You're Whitening It Up"
IAAF Full Recap: Poland’s Anita Wlodarczyk Highlights By Breaking The Hammer World Record With 79.58m In the competition was Germany’s former WR holder Betty Heidler, who finished 2nd (75.20m). Orlando Ortega beat Dayron Robles with 13.08 in the 110H, David Strol took the SP over Ryan Whiting; Robert Harting won the discus again. 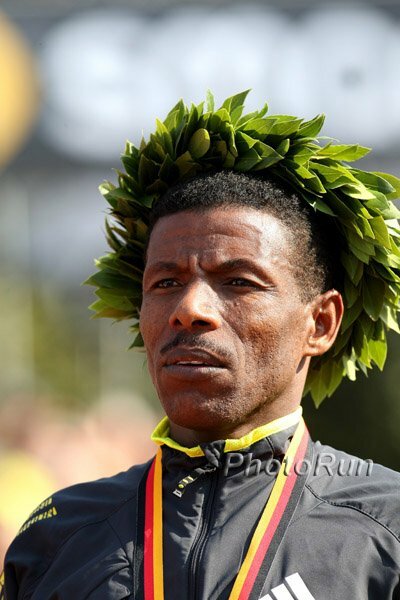 LRC Full Results For 2014 ISTAF Berlin Meet Mo Aman edged Taoufik Makhloufi in the 800, Mekonnen Gebremedhin edged Aman Wote in the 1,500, Augstine Choge won the 5,000 as Bernard Lagat was second as he and Lopez Lomong both broke 13:10. M5k: MB: Nearing 40 years of age, Bernard Lagat run 13:06 gets 2nd Amazing considering he’ll be 40 in 103 days. M800: MB: Mo Aman beats Makhloufi and Kszczot He got the win in 1:43.53 to the Olympic champs 1:42.53 as Kszczot was 3rd. American Erik Sowinski ran 1:46. Redshirt Freshmen Win CU Time Trial And Wetmore Is Pleased Wetmore says most of the team had “good summers” as the top six men all finished within 1.5 seconds of each other. 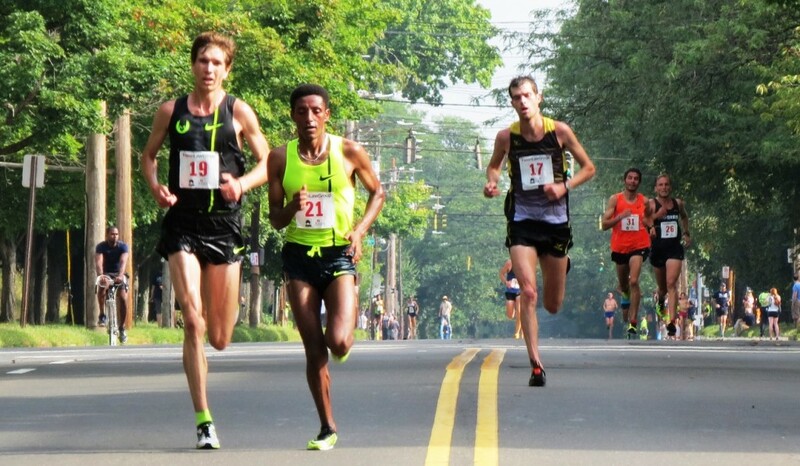 Fishduck.com Previews Oregon Men’s And Women’s XC Season They return their top individuals in Edward Cheserek and Annie Leblanc and have Sarah Baxter as an incoming freshman. Running Times: Five Storylines For The 2014 College Cross-Country Season Can anyone challenge CU men or Cheserek? Who are the favorites on the women’s side? So Is Football: Interview With Oregon NCAA 110H Champ Devon Allen On Football And The Prospects Of A Pro Track Career He also talks about accumulating Twitter followers, his football talent and playing with Oregon in the 2013 NCAA Football video game. 2014 Deca Nation: Gia Lewis-Smallwood Sets New American Discus Record (69.17 m – 226′ 11″) – Donn Cabral & Will Leer 2nd Katie Mackey and Gabe Grunewald also competed. Q&A With Daniel Lieberman, 10 Years After “Born To Run” He’s the Harvard scientist who says humans evolved to run long distance barefoot. The rest is history. Random fact: Did you know myopia didn’t used to exist? 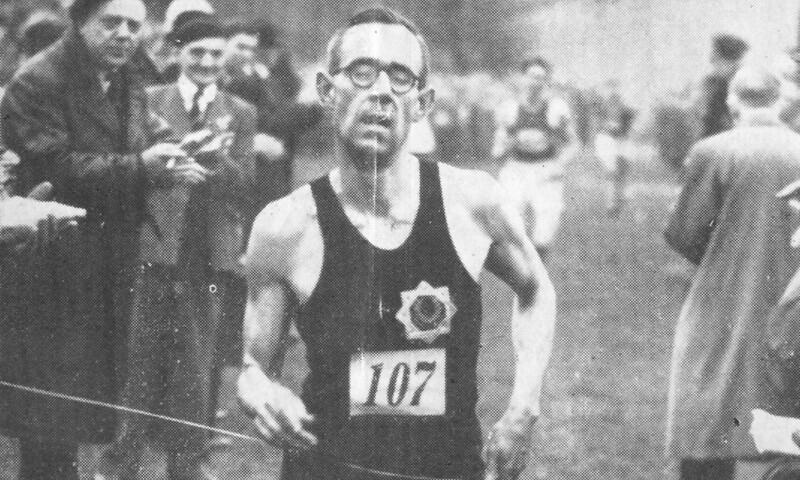 Remembering Sydney Wooderson – The Man Who If Not For WWII Might Have Been History’s First Sub-4 Minute Miler The article said he’d likely have also won the 1940 and ’44 Olympics which weren’t held. He was born exactly 100 years ago. Toni Reavis Says There Are Way Too Many Athletes In The Diamond League Finals Why don’t people have to qualify for the final? Monday: Good Fields Set For USA 20K Champs: Molly Huddle Faces Amy Hastings, Amy Van Alstine, Becky Wade And Adriana Nelson Men’s side has Chriso Landry, Sean Quigley, Diego Estrada, Matt Llano, Fernando Cabada. Molly Huddle Is Enjoying Running Road Races After Setting American 5,000 Record “I’ve been checking off the ones I have wanted to do,” said Huddle, who says training partner Amy Hastings is very fit. Cool Race Sep. 6th: Christine Ohurogu, Lynsey Sharp, Jenny Meadows And Eilidh Child To Race Over 500m At Great North CityGames Two 800 runners vs. 400 and 400H sprinters. Should be interesting. Two Weeks: Africa Announces Team For IAAF Continental Cup Stacked distance squads including Nijel Amos, Mohammed Aman, Caleb Ndiku, Isiah Koech, Eunice Sum, Hellen Obiri, Genzebe Dibaba, Hiwot Ayalew. M 5,000 LRC Caleb Ndiku Wins Race & Diamond League Title; Galen Rupp Hangs On For 3rd Rupp was right with Ndiku with 200 to go and didn’t quite have enough but still hung on for his best 5,000 of the year. Ben True (8th) also ran well and was in contention at the bell. 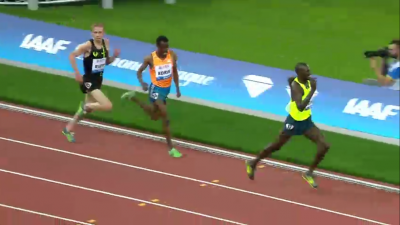 M 800 LRCNijel Amos Wins Vs. A Loaded Field To Show He’s Best In The World In 2014 Let there be no doubt. Nijel Amos is the best 800m man in the world in 2014. Amos, already the Commonwealth Games champion and the African champion, is now the Diamond League champion after his 1:43.77 win versus a stacked field.